The following photographs are of the bus station in Guatemala City and drunk men sleeping on the streets of Antigua. Guatemalan man sleeping in the streets of Antigua. This is a collection of mine: photographs of men sleeping on pavement in the middle of the day. 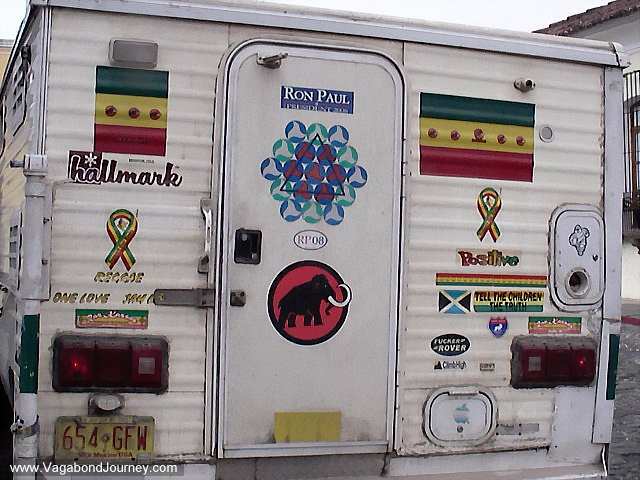 A hippy camper in Antigua, Guatemala. Another photograph of a man sleeping on the pavement in Guatemala. Chickens eating feed in Antigua, Guatemala. Fuente del Norte bus station in Guatemala City. Board and restless Guatemalans in the bus station. Guatemalans waiting for a bus. Kids getting stuff out of a bubble gum machine. Bus station in Guatemalan City.